If you want a degree program that places a high premium on the communicative and learning needs of culturally and linguistically diverse populations through comprehensive course work and clinical practicum experiences, you are in the right place. 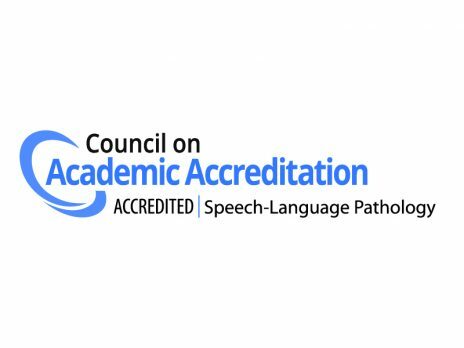 The Master of Science education program in Clinical Speech-Language Pathology Northern Arizona University is accredited by the Council on Academic Accreditation in Audiology and Speech-Language Pathology of the American Speech-Language-Hearing Association, 2200 Research Boulevard, #310, Rockville, MD 20850, 800-498-2071 or 301-296-5700. Pursue your master’s degree in our full-time track or keep your academic year job as a speech-language pathology assistant and complete your master’s in our part-time summers track. I have a bachelor’s degree in Speech-Language Pathology. I have a bachelor’s degree, but not in Speech-Language Pathology. I have my bachelor’s degree, work in the area of speech-language pathology, and want to do degree work during the summer.